Poor Buddy finally made it home, only to be sold on a website. SCOTTSDALE, AZ: GoDaddy is denying allegations that it created a controversial Super Bowl puppy ad, which the domain-registration company later decided to pull, as part of a PR stunt to create buzz. "This was not a PR stunt," GoDaddy’s VP of PR Elizabeth Driscoll told PRWeek via email. 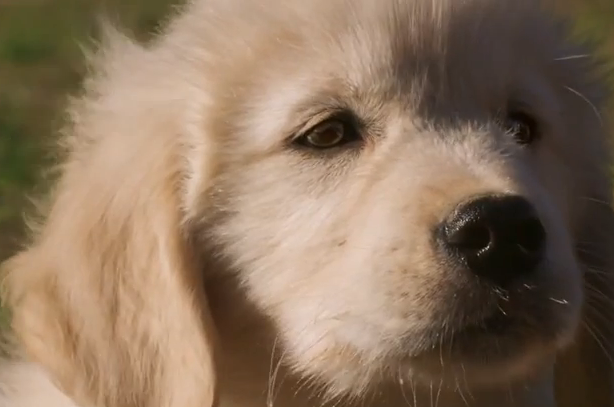 On Tuesday morning, NBC’s Today show previewed the spot featuring a puppy named Buddy. The dog gets lost and finds its way back home, only to be sold on a website that was set up using GoDaddy.com. GoDaddy also made a PSA promoting dog adoption that features Buddy and NASCAR driver Danica Patrick, as well as a video about Buddy’s job at GoDaddy as chief companion officer. Backlash immediately erupted from animal-rights activists and social media users who complained the ad endorses puppy mills. A Change.org petition to pull the ad racked up more than 42,000 signatures by day's end. Less than 12 hours after showing the commercial, GoDaddy CEO Blake Irving wrote on the company’s blog that the ad would not be aired. The PSA was also pulled from GoDaddy's YouTube account. Some PR pros said the fact that GoDaddy seemed a little too prepared for the backlash against the ad seems suspicious. "When I first saw this break yesterday, I thought these guys clearly knew they had a hot topic on their hands and they had every possible contingency covered," said Scott Farrell, Golin’s president of global corporate communications. "They had the PSA on the adoption issue already pre-produced, they had great social media content in terms of Twitter responses, and then I saw the pull and an incredibly well-prepared CEO statement, like it was ready to go." Farrell said pulling the ad may not be enough if the company is deceiving the public. "This is a brand known for its tendency to push the bounds and get outside the box," he explained. "But people may lose their admiration for the cleverness and the brand may lose authenticity if people feel they were hoodwinked." Peter Himler, principal, Flatiron Communications, added that he does not buy into creating "tasteless stunts" as a strategy to garner media attention, especially when that can be accomplished without resorting to something "patently objectionable." On the other side of the coin, Farrell noted that if GoDaddy’s response was truly organic, it serves as a "textbook example of crisis preparedness." GoDaddy is working on what to put in the company’s 30-second Super Bowl commercial slot as an alternative, Driscoll told PRWeek. Last February, GoDaddy tapped Next Fifteen firms Bite and 463 Communications as its first PR shops to help with brand positioning and communications strategy, starting by leveraging its Super Bowl ads. Sean Mills, Bite’s regional director for North America, confirmed that the agencies still serve as GoDaddy’s AOR. Mills declined to comment on GoDaddy’s comms strategy around this matter. In 2013, GoDaddy's Super Bowl spot featured a long close-up shot of a French kiss between a supermodel and a nerd. The company's 2014 ad during the big game starred a real woman who quit her job to start a puppet business.